GMO agriculture is devastating Filipino farmers and they've made a video to share their stories. 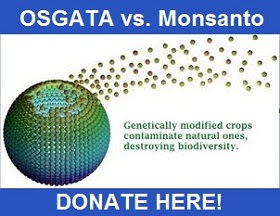 Monsanto gets them hooked and after a few years, they double their prices. Farmers are forced to take out loans to cover the cost of the seeds ...and chemicals. If the farmers can't pay their debts, their cattle and land are confiscated. Their farmland is depleted, their bank accounts are depleted and they can't eat what they grow because it makes them sick. With a lack of availability of conventional corn seed, what are these farmers to do?